you are here: Home » News » The Imperfectionists – Being Made Into A Movie? 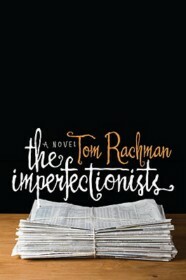 The Imperfectionists – Being Made Into A Movie? MediaBistro is reporting that Brad Pitt’s production company “Plan B Entertainment” has bought the movie rights to the popular novel The Imperfectionists by Tom Rachman.